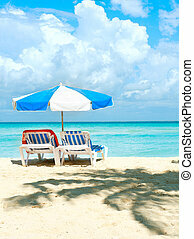 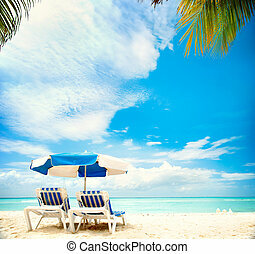 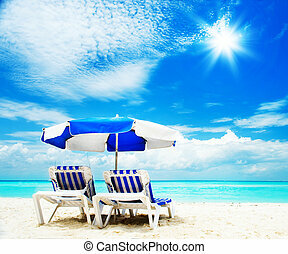 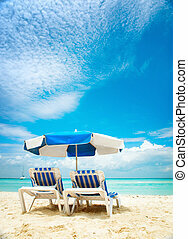 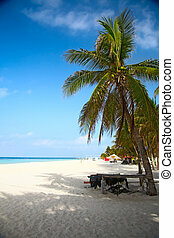 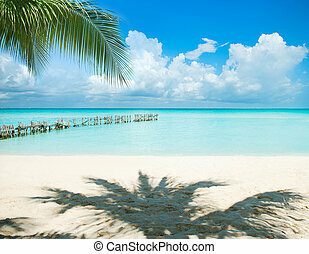 Vacations and tourism concept. 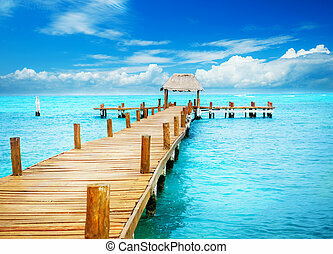 jetty on isla mujeres, mexico. 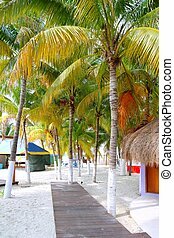 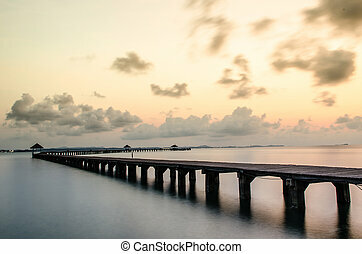 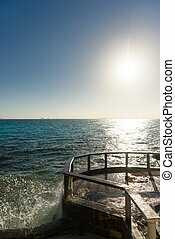 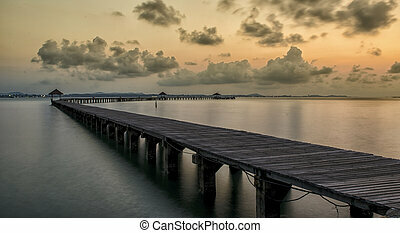 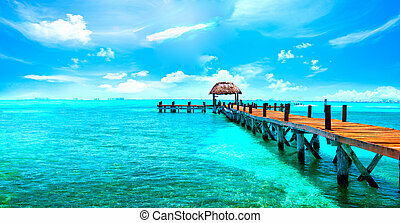 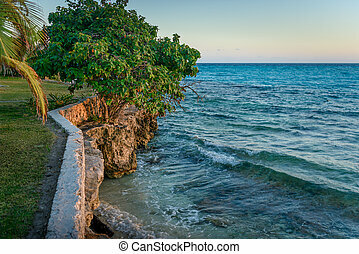 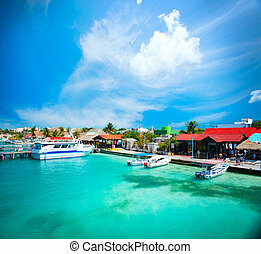 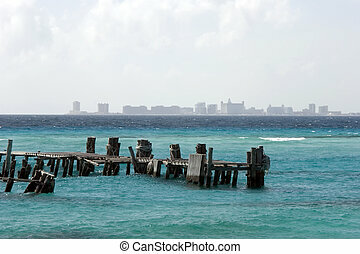 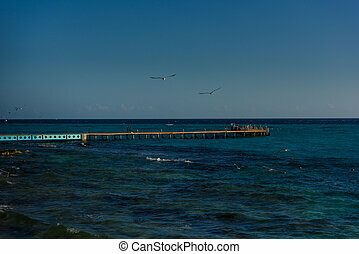 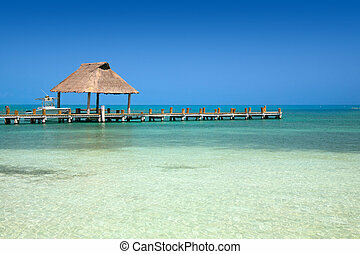 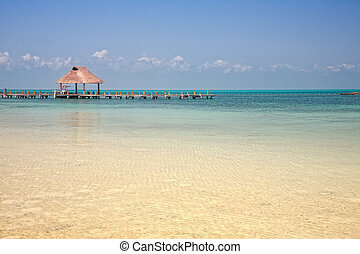 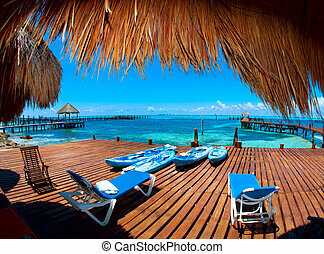 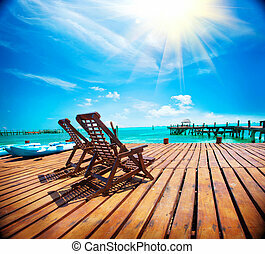 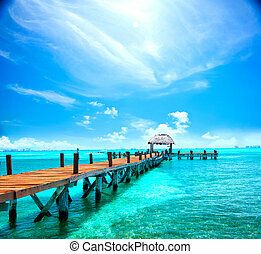 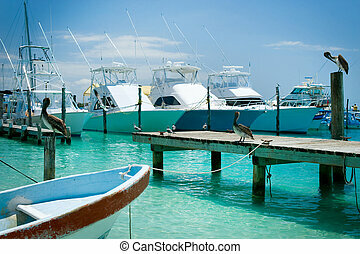 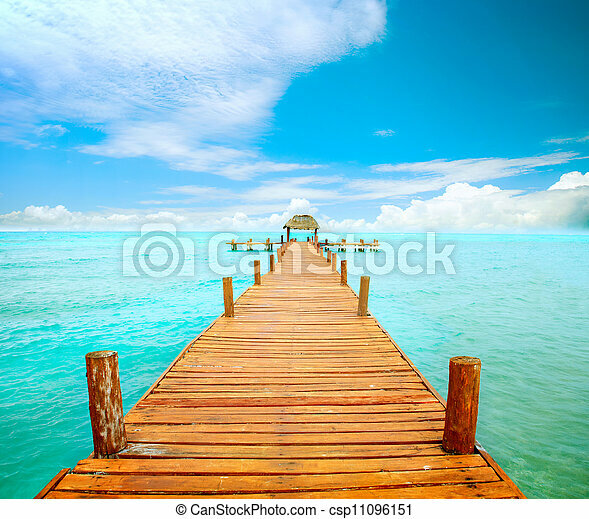 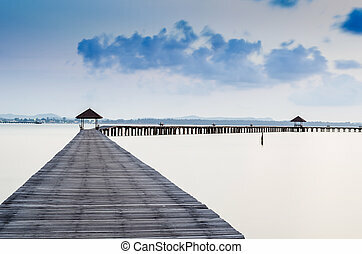 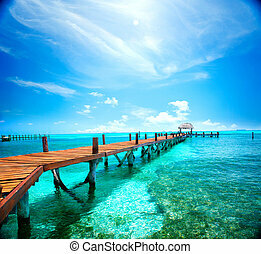 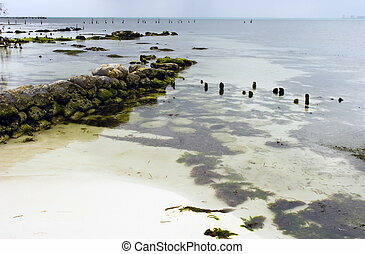 A jetty on the island of Isla Mujeres, mexico. 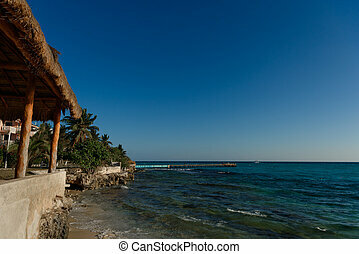 House and panoramic view on Punta Sur Isla Mujeres Mexico Yucatan peninsula where you can see some art made of metal and a perfect view of the sea. 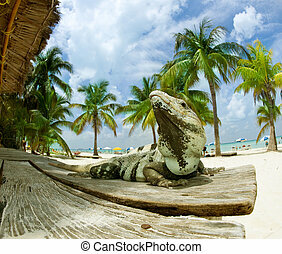 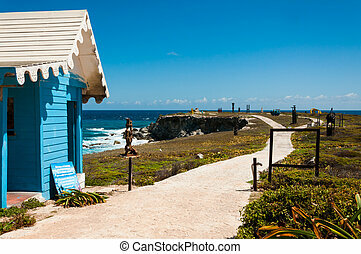 This is the most southern point on the island and there are many iguanas here.